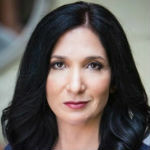 Nomi Prins is a renowned journalist, former international investment banker, and author of numerous books, including, “All the President’s Bankers,” about the relationships of U.S. presidents to key bankers over the past century and how that influenced policy. Her new book, “Collusion: How Central Bankers Rigged the World,” explores the recent rise of the role of central banks in the global financial and economic hierarchy. Before becoming a journalist, Ms. Prins worked on Wall Street as a managing director at Goldman Sachs and Bear Stearns in London. She also worked as a strategist at Lehman Brothers and an analyst at the Chase Manhattan Bank. 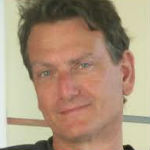 Marc Rotenberg is President and Executive Director of the Electronic Privacy Information Center(EPIC) in Washington, DC. Mr. Rotenberg teaches information privacy and open government at Georgetown Law, frequently testifies before Congress on emerging privacy and civil liberties issues and has received numerous awards for his work as an attorney. Thanks for this super informative show. At first I thought Prins’ photo meant you were only re-featuring an older show. It might have been why I awoke Sunday morning, though, wanting to look for youtubes on this money-out-of-thin-air issue. Fortunately, I returned here Sunday evening and discovered Prins had indeed come back for a second show. Many come on like they’re going to tell you about the whole subject; but, funny thing, despite all the promising titles…the whole picture is never there (once again, yesterday AM I collected some urls, but didn’t have time to go through even one beginning to end). Have a feeling I may not be alone on this, but there are probably a few steps I’m still fuzzy on…HA! Here’s just one>> I’ve read that the percentage of all deposits banks must keep has grown smaller and smaller. It’s scary whenever I see a number. But, just so I have this right, they’re supposed to retain on hand a certain percent of what’s been deposited; and according to Prins, in addition to this…they must also keep on hand ANOTHER SEPARATE PERCENTAGE in case the parent “corporation” needs it?? Meaning to use “corporation” in a metaphorical sense. In the United States we have no governing agency over banks. The Federal Reserve is not a Government agency, it is a part of privately owned Federal Reserve System. Their Federal Reserve Board make their own rules. However they are extremely powerful and usually other banks who are not in their system follow suit with whatever interest rates their board has decided upon. One can see the kind of thing the next Piketty that comes along will be graphing…amount of dough FDR “borrowed” as a percentage of 21 trillion, for example. If unkind aliens were jotting down absurdities about our civ, truly money from nothing (and this much) would rank up there somewhere in top five. I see now, I think, that all banks must hold on hand some percentage of their deposits for solvency and another percent for the Fed. Think I’ve got that down. There are other questions, though, still in my mind that I don’t have time at the moment to put down here. I’ll be back though. Thank you Ralph and Nomi Prins! Ralph, why not create a “DOCUMENTARY” explaining and exposing to “The People” as to what is going on in our Country. Maybe you can access or contact people who’d be willing to do this as a “Creative project”. Rob Reiner has produced a movie coming out doing the above. Peace To America and may Donald Drumpf be exposed for who he is. In your postlude, I like the way you put workers upfront and center in your noble tribute to Memorial Day. That is how it has to be in light of the long string of US illegal wars and the fallout of that fact to workers. Ralph please again interview Ellen Brown and her book about the FED and central bankers called “Web of Debt”. This interview is particularly wonkish with too much jargon and therefore fails to truly explain what is obscured by design. Like an example you gave, the FED publishes information explaining how the FED works. It is designed to obscure the truth and unfortunately this interview doesn’t help. The good news is that more and more people get it by reading books like Ellen’s. I am not an economist or a banker, but I think it was obvious from the first couple minutes of your conversation with Ms. Prins that neither one of you really understands the world of money and banking, not to mention the Federal Reserve. In the first couple minutes Nomi stated that the primary function of the FR is to set interest rates. That may be her perspective from having worked in banks during normal times. But the FR was created to alleviate financial crises — particularly bank runs. Its raison d’etre is to provide liquidity to banks. As I understand it, the interest rate it directly controls is the inter-bank lending rate on bank reserves at the FR. Neither of you seem to appreciate that something like 90% of money is created by the banking system due to the multiplier effect of fractional reserve banking and therefore a run on banks causes a collapse of the money supply and a freeze on the everyday lending that facilitates normal economic activity. Milton Friedman was probably right that part of the reason for the Great Depression was that the FR at that time didn’t understand it’s role in countering a financial collapse. You talk about it like a great capitalist conspiracy, but even communist countries have central banks. There are progressive economists who understand money and banking and have intelligent critiques of how the system works. I think this program would have been much better if you had included one of them to give a less hyperbolic view of what the FR does. Joel, there is a lot to what you say. No one is ever going to take Liberal/Left economics seriously when these mistaken or incomplete views you mention are all that comes out, and they are all in service to someone selling books and lecture appearances. There has got to be some kind of neutral viewpoint on all of this that can put perspective on what is going on. Do you have any suggestions on what a lay person can read get a holistic neutral point of view on the money system but national and global? Most of what I’ve read has a piece of the truth from some point of view, usually sensationalized to sell books or keep the reader awake, but I’ve always felt there are big gaps in these explanations, and that the incentive is to keep as many people out there as possible from understanding and therefore objectively criticizing the system or pointing out those responsible for its abuse.